Passenger traffic reached 79,704 at Sanya Phoenix International Airport on Sunday and Monday, the first two days of the 40-day Spring Festival travel rush. 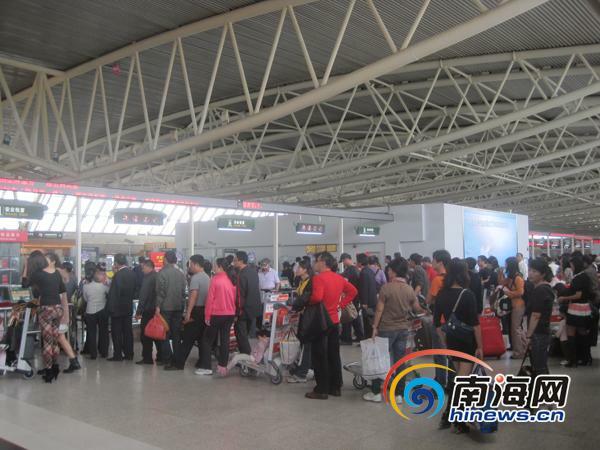 The railway station and airport in Sanya are seeing a passenger upsurge after the 40-day 2012 Spring Festival travel rush kicked off on Sunday, reports hinews.cn. Passenger traffic reached 79,704 at Sanya Phoenix International Airport on Sunday and Monday, with 594 flights taking off and landing at the airport. The first travel peak of the airport is expected to occur on 22nd Jan, the day before the 2012 Chinese Lunar New Year. The second travel peak is expected on 27th Jan and last till 4th Feb. According to the Sanya Railway Station, the station is expected to receive 12,000 daily passengers during the travel rush period, up 20% compared to last year’s. The travel peak is expected to occur on 19th and 20th Jan.